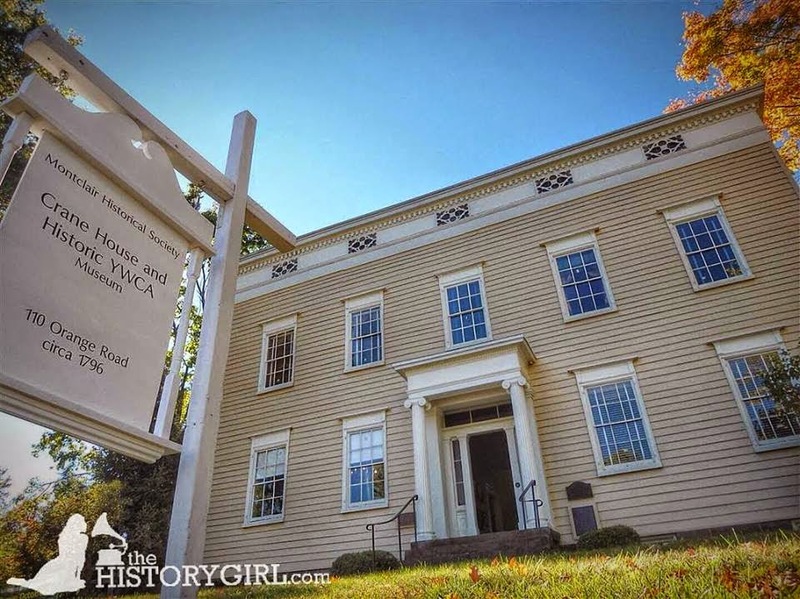 NJ Weekend Historical Happenings - 11/7/15 - 11/8/15 ~ The History Girl! Join The Historical Society of Bloomfield, NJ (HSOB) on Saturday for a three-mile hike following the path of the Morris Canal through Bloomfield and a bus ride to additional sites where the canal is still intact. Space is limited. Reservations are required. $5.00 donation requested to cover the cost of the bus and hand-outs. To reserve a space, send an e-mail to MorrisCanal@gmail.com. The Historical Society of Princeton is hosting its 14th annual House Tour on Saturday from 10:00 am - 4:00 pm. This signature event celebrates architecture and design in the homes of the supportive Princeton community! The tour has expanded to feature six extraordinary homes, from modern to traditional designs. Tickets are $45 for members with advance purchase; $50 for non-members. Purchase tickets online here. On the day of the event, tickets may be purchased at Bainbridge House, 158 Nassau Street. All tickets purchased online must be picked up at Bainbridge House, 158 Nassau Street, Princeton, NJ on Saturday starting at 10:00 am. Proceeds help fund the Historical Society's core mission activities throughout the year, including exhibitions, collections care and educational programming for schools and families. 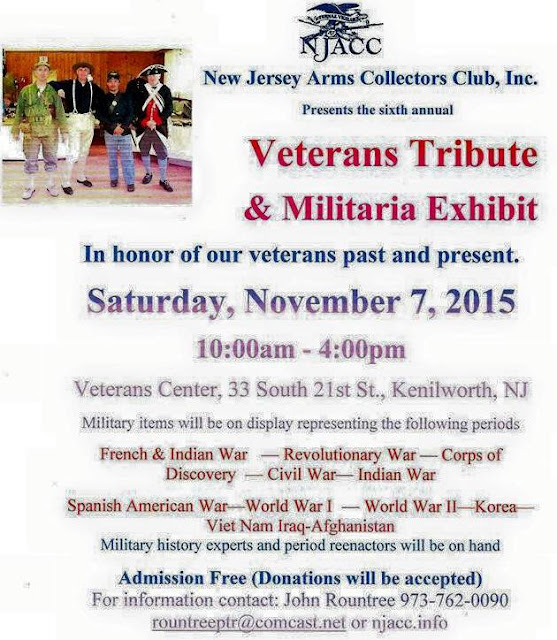 For more information or to purchase tickets, please call 609-921-6748 ext. 105. Tickets may also be purchased online at www.princetonhistory.org. Combine the Ghosts of Cape May trolley tour with a visit to the 1879 Emlen Physick Estate, where you will visit a home séance room of the 1890s and learn of the Victorians' fascination with spiritualism on Saturday at 7:00 pm. $22 for adults, $14 for children (ages 3-12). The Emlen Physick Estate is located at 1048 Washington Street, Cape May, NJ. Sponsored by the Mid-Atlantic Center for the Arts & Humanities (MAC). For more information, call 609-884-5404 or 800-275-4278 or visit www.capemaymac.org. Get into the spirit of things on a guided tour of the historic (some say haunted) 1879 Emlen Physick Estate, with a discussion of Victorian spiritualism on Saturday at 7:30 pm. Limited tour. $12 for adults, $8 for children (ages 3-12). The Emlen Physick Estate is located at 1048 Washington Street, Cape May, NJ. Sponsored by the Mid-Atlantic Center for the Arts & Humanities (MAC). For more information, call 609-884-5404 or 800-275-4278 or visit www.capemaymac.org. This event is FREE. Passes for the Glenmont Estate must be picked up at the Thomas Edison National Historical Park Laboratory Complex Visitor Center at 211 Main Street, West Orange, NJ. For more information, call 973-736-0550 x33 or visit www.nps.gov/edis. Step back in time for a lovely autumn evening on Saturday when the Friends of Historic Cold Spring Village host the annual Candlelight Walk from 6:00 - 8:00 pm. Luminaries will line the paths and guide you to several of the Village's restored historic buildings where wine, beer, and a variety of light fare will be served. Featured local favorites include the Flight Deck Diner, Cold Spring Grange Restaurant, Formica Brothers Bakery, Gaiss' Market, Erma Deli, West Side Market, Little Italy II and Gwen Raring Catering. Support is also being provided by ACME, Shoprite and Seashore Food. Guests will also enjoy desserts, live musical entertainment and hot beverages at the Village Pavilion. A special holiday sale at the Country Store will feature heritage wares, books and a wide variety of historical toys. Tickets are $30 ($25 for HCSV Members) and must be purchased in advance. The event will begin at the Route 9 entrance to the Village. Please call 609-898-2300, ext. 10, or visit www.hcsv.org/candlelight to purchase tickets. Historic Cold Spring Village is a non-profit, open air living history museum that portrays the daily life of a rural South Jersey community of the Early American era. Its mission includes the preservation of 26 historic Cape May County buildings, history education and promoting heritage tourism. The Village is a museum for all seasons. During the summer months, interpreters and artisans in period clothing preserve the trades, crafts and heritage of "the age of homespun." From October to May, the emphasis is on teaching history through school trips to the Village, classroom visits by the education department and interactive teleconferences with schools throughout the United States. The Village is located on Route 9, three miles north of Victorian Cape May and a mile and a half west of the southern end of the Garden State Parkway. For more information, call 609-898-2300, ext. 10 or visit www.hcsv.org. NSCDA-NJ will offer a new series, "Everything Grows at Peachfield". The series will begin with "pod babies" - a Christmas ornament made from seed pods, acorn caps, and wool dyed naturally using nuts, berries and flowers. There will also be a discussion, "process of naturally dyeing wool". This series will be fun for the whole family. Future activities will include making flavored vinegar, a drink call shrub, corn husk toys, and thread from "all that grows at Peachfield". Remember Revolutionary War veterans by visiting Jockey Hollow. Meet a ranger from 1:00 - 4:00 pm in replica 18th century clothing and learn about the promises made to those who joined the Continental Army - and whether those promises were kept. Program to be held at the Solder Huts. Admission is free. For more information, visit www.nps.gov/morr. An apple a day may keep the doctor away, but pressing them, peeling them and "stomping" them can be healthy too...as you’ll find by visiting Howell Farm on Saturday. The techniques used on the Farm to make apple cider, applesauce, and apple pie are healthfully reminiscent of those used a century ago, when people - not motors - powered the cranks, handles, and other appliances used to process food. From 10:00 am - 4:00 pm, visitors to this 130 acre working farm can sample the work, fun and tastes of a circa-1900 apple harvest. Visitors of all ages will be invited to use the Farm's old fashioned presses, peeler-corers, and "stomper-strainers" to help the farmers process apples. For the hungry, there will be apple pie and other apple treats. Unusual, ingenious antique apple peelers and corers will be demonstrated by Coles Roberts of Vincentown, NJ, who is a 3rd generation apple grower as well as collector of antique farm machinery. His collection includes an industrial size peeler that processes many apples at once. Demonstrations of the peelers will be held every hour, on the hour, from 11:00 am - 3:00 pm. 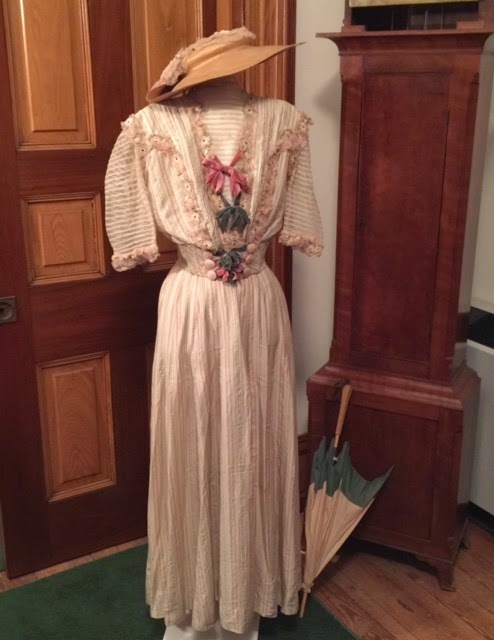 The Cranford Historical Society will have its Annual Holiday Boutique/Garage Sale Fundraiser on Saturday and Sunday at the Hanson House, 38 Springfield Avenue, Cranford, NJ. The hours of the boutique are: 10:00 am - 4:00 pm each day. New and gently used holiday merchandise for the discerning shopper-young and old. This event is an opportunity to buy interesting decorations and ornaments for your home as well as some unusual items. This fundraising event will help the Cranford Historical Society maintain the gardens and grounds at the Crane-Phillips House Museum and the History Scholarship Fund. The society has been dedicated to the perpetuation of Cranford's history by continuing to collect and document the town's past as we now enter the 21st century. For more information, call 908-276-0082 or visit www.cranfordhistoricalsociety.com. Using a shaving horse and hand tools, craftsman Al Trenton will transform a log in to a wooden spoon at Historic Walnford on Sunday from 1:00 - 4:00 pm. Watch the bowl and handle take shape as he cuts and carves the wood during this drop-in demonstration. Bring a new appreciation for these skills to the beautiful historical wooden implements you’ll see while touring the house and gristmill. Admission and parking are free. On Saturday, visit Historic Longstreet Farm in Holmdel to take a step back in time to join music man Rich Marzec as he performs songs on the piano from the turn of the century. This free event runs from 1:00 - 3:00 pm. Historic Longstreet Farm is located at 44 Longstreet Road, Holmdel, NJ. For more information, call 732-946-3758 or visit www.monmouthcountyparks.com. Despite the absence of photography and combat illustrators, the American Revolutionary War was accurately recorded by a number of artists. Join historian Arthur S. Lefkowitz on Sunday at 2:00 pm at Bedminster's historic Jacobus Vanderveer House & Museum for a multimedia presentation of 18th century artistry in the form of studio-executed history paintings, portraits, illustrations, and rapidly drawn field sketches. Mr. Lefkowitz offers historical information on each piece, and new insight about the artists who created them. High quality images have been gathered from a variety of museum collections and interesting details that are frequently lost when the pictures are reproduced in books come to life. Central to the presentation are portraits of George Washington, shown as commander-in-chief of the Continental Army. Arthur S. Lefkowitz is an independent researcher and author living in New Jersey. His previous books are noted for their unique subject matter, starting with The Long Retreat published in 1998, and have received numerous awards. He is a member of The Board of Governors of The American Revolution Round Table, and has lectured at various National Park Service historical sites and The Fraunces Tavern Museum in Manhattan, famous as the site where George Washington bid farewell to his officers. 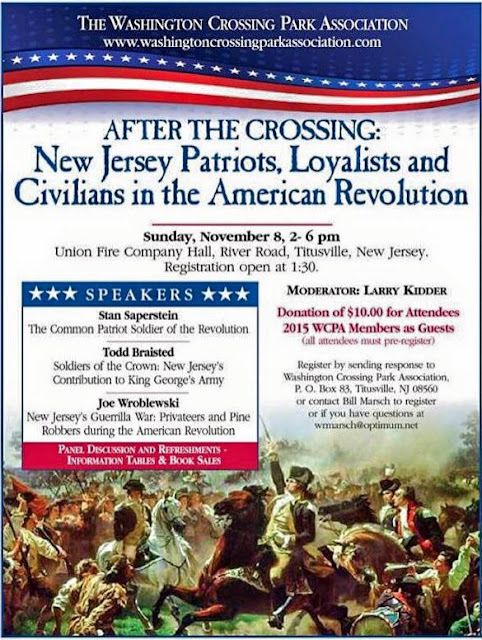 Signed copies of Mr. Lefkowitz's book, Benedict Arnold in the Company of Heroes, will be available for purchase. Admission $10 (free to members of the Jacobus Vanderveer House). Children 12 and under free. Registration required. The Jacobus Vanderveer House is located at 3055 River Road in Bedminster, NJ. The entrance to the house is via River Road Park. For directions and more information, call 908-396-6053 or visit www.jvanderveerhouse.org. On Sunday, at the Crane-Phillips House Museum, Union resident Richard J. King will discuss his books, Just A Short Line, The Story of the Rahway Valley Railroad, Volume I: History of the Line 1897-1950 and Volume II: History of the Line 1951-2009 at the Crane-Phillips House Museum from 2:00-4:00 pm. Program begins at 2:15 pm. Richard J. King, a lifelong resident of Union, has been aggressively researching the history of the Rahway Valley Railroad. This railroad was a small, locally owned, and family-operated line that only extended for 11.8 miles between Roselle Park and Summit, with a branch into Maplewood. Headquartered in Kenilworth, the railroad was a catalyst for industrial development in Union County between the years 1897 and 1992. The railroad connected with the Central Railroad of New Jersey in Cranford. In partnership with the Garbely Publishing Company of Pompton Plains, NJ, King has written two books about the Rahway Valley Railroad, which cover the railroad's history from 1897 to 2009. King will give a presentation of the railroad's history, and its impact on the Township of Cranford. All are welcome to attend and King's two books will be available for purchase after the presentation. Admission is free. The Crane-Phillips House Museum is located at 124 North Union Avenue, Cranford, NJ. Admission is free. The Cranford Historical Society was founded in 1927 with a mission to preserve the unique history of Cranford, New Jersey. The Society maintains the Crane-Phillips House Living Museum, an important costume collection, and archives. 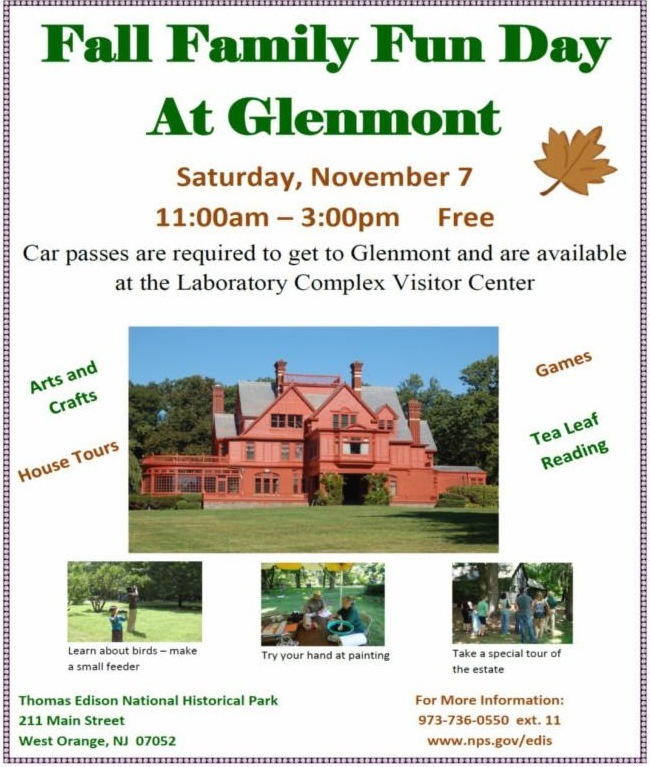 For more information, call 908-376-0082 or visit www.cranfordhistoricalsociety.com. "Salt: Every attempt should be made to save it." This presentation is definitely 'worth its weight in salt'! Join us as we welcome Susan McLellan Plaisted from Heart to Hearth Cookery and her presentation on salt. The salt that we take for granted and sprinkle on our food was absolutely essential for 18th-century life and the life blood of the army. The fledgling saltworks of the colonies were strategic military targets. Interactive demonstrations are included in this most fascinating tale of salt. Program runs from 2:00 - 4:00 pm. Admission is $5 per person. 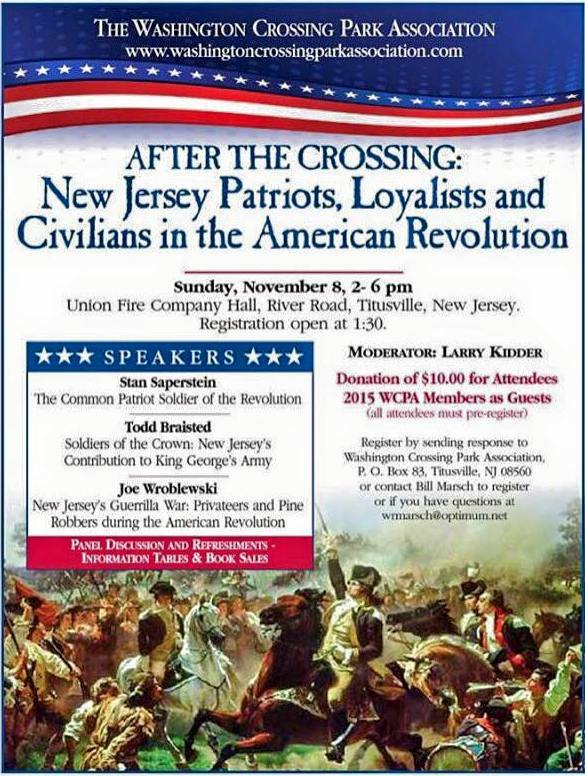 Program held at the Burlington County Historical Society. Entrances are located at 457 High Street and 454 Lawrence Street, Burlington, NJ. To RSVP or for more information, call 609-386-4773 ext. 1 or e-mail burlcohistsocprograms@verizon.net. Admission: $7 per adult; $4 children ages 6 to 12; free for children age 5 and under. Tickets are sold at Bainbridge House, 158 Nassau Street, Princeton, NJ from 1:30 - 2:00 pm. Tour begins at 2:00 pm and ends at 4:00 pm. Space is limited. For more information, call 609-921-6748 or visit www.princetonhistory.org. 2nd Sunday Family Funday: All in a day’s work! Bring your kids for tours and activities designed for the family. Today we’ll talk about what chores and jobs were really like in the 1800s. Live weaving demonstrations with Amanda Mayoff in the school room. You can also discover history through the “many voices” who made our community what it is today at the Crane House and Historic YWCA at 108 Orange Road, Montclair, NJ. The people who lived, worked, and relaxed in this building tell the story of not only Montclair, but also New Jersey and nation from its early years of a fledgling country to a country embroiled in Civil Rights. While you’re here, make sure you see what’s growing at the farm, meet the chickens, and visit the Museum Shop for unique, one-of-a-kind treats. Both houses are open from 1:00 - 4:00 pm. Admission is free, but donations are always welcome. For more information, call 973-744-1796, e-mail mail@montclairhistorical.org, or visit www.montclairhistorical.org. Monmouth County Historical Association invites the public to enjoy Open Hearth Open House at the Covenhoven House on Saturday from 12:00 noon - 4:00 pm. Come and observe eighteenth-century style cooking over the blazing open hearth. Visitors will be invited to sample treats made from authentic “receipts” provided by the hearth cooks. We will have challah, winter borscht, Dutch oven pot roast, stuffed cabbage, and baked apples with almonds and raisins. Admission is free - bring the family. The Covenhoven House is located at 150 West Main Street in Freehold near the Route 9 overpass. Parking is available at Grace Lutheran Church at the corner of West Main Street and Business Route 33. 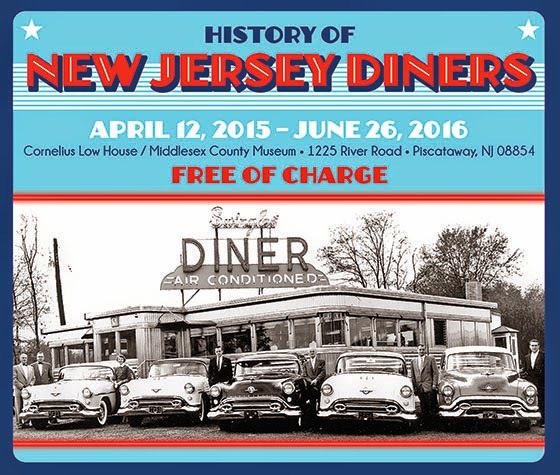 For more information, call 732-462-1466 ext. 11 or visit www.monmouthhistory.org. The Maywood Station Museum located at 269 Maywood Avenue, Maywood, NJ will be open on Sunday from 12:00 noon - 3:00 pm. A wide variety of artifacts, photographs, and exhibits featuring railroad and local history will be on display in the museum. Also, climb aboard Caboose 24542 and see its operating model train layout and additional displays. The new 2015 annual Maywood Station Museum holiday ornament will be available. Admission is free. Did you know that New Jersey contains some of the oldest rocks on earth? Or that, at one time in the distant past, oceanfront property existed in Somerset County? How about the fact that the county was once the site of huge effusions of magma, without which the county would not have played its great role in the American Revolution? 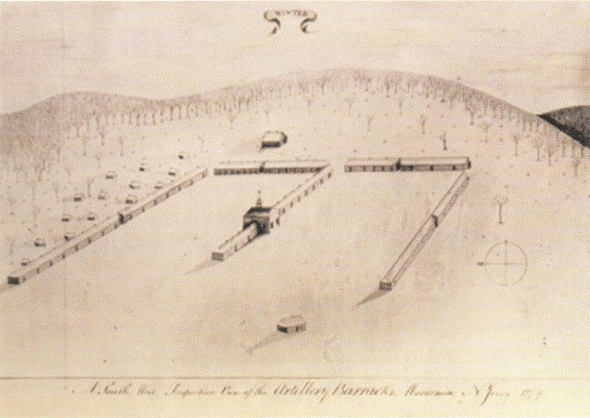 Somerset County was also blessed with copper ore, subsequently mined and cast into bronze cannon tubes that accompanied the Continental Army to Yorktown. How, why and when did it form where it did? These facts will be placed in their geological context during a presentation by John Allen. A tour of the geologic history of the State will be offered first, transitioning to a more focused review of Somerset County’s geological “underpinnings,” and the role it played in the development of the county from colonial times to the present day; from its agricultural heritage and its mining history through today’s position as a significant part of the economic juggernaut that is the New York City metropolitan area. Yet, despite this, there are parts of the county that remain rural in character. This, too, is attributable to geology! This free program begins at 2:00 pm at Van Veghten House, 9 Van Veghten Dr, Bridgewater, NJ. For more information, call 908-218-1281 or visit www.schsnj.com. Morristown once comprised territory stretching from Mendham to Chatham until 1865 when, amidst the chaos of the Civil War, mysterious forces acted to separate it from Morris Township. The Morristown & Morris Township Library invites you to explore an exhibit that details the lives of those who came to Morristown seeking wealth, redemption, conflict, or a new beginning. Utilizing rare and previously unseen archival materials, visitors will witness the development of the Green as the center of commerce, public affairs, and leisure, and how nearby houses of worship focused residents' spiritual and social lives. Long a center of commerce and trade, early settlers struggled with the limitations of dirt roads until residents developed interstate canals, rail and trolley lines, and sophisticated highway systems. Changes in criminal behavior and law enforcement will be explored, as well as efforts to educate productive upstanding citizens through forward-thinking private and public schools. In addition to the generations of innovators and immigrants who built Morristown's many businesses and infrastructure, we will take a look at those who celebrated cultural and religious events, grieved over shared disaster and commemorated war dead, and fought to make Morristown a place where everyone could gather in peace. The exhibit will be on display through December 31 and is sponsored by a grant from the New Jersey Historical Commission and by funding from the Friends of the Library. The Morristown and Morris Township Library is located at 1 Miller Road, Morristown, NJ. For more information, call the Library’s North Jersey History & Genealogy Center at 973-538-3473 or visit www.jfpl.org/NJHistoryHome.cfm. Early in September 1965, the doors of Ocean Township High School (OTHS) opened for the first time. It was a momentous day - the culmination of an impassioned campaign and a turning point for both Ocean Township and Asbury Park, the district that up to then had educated most of the township's teens. Fifty years later, almost to the day, a mini-exhibit opened at the Eden Woolley House commemorating the milestone. "OTHS at 50," uses photographs, press clippings, and artifacts to demonstrate how the school's history mirrors five decades of social and political change. Ocean Township's commitment to education is long standing. Between 1784 and 1960, it built at least nine schools. None was a high school. Asbury Park or Long Branch. Most chose Asbury. By 1962 Ocean students at Asbury High outnumbered city students 713 to 558. Ocean was booming and more than 1,000 high school-age students were projected by 1966. Asbury High, on split session since 1959, was already overcrowded. Something had to be done. Asbury asked Ocean to sign a 20-year contract with the city as a condition for its undertaking a building expansion. Ocean refused. There was talk of regionalization, at first rejected and later revisited by the city. But it was too late. A full-blown campaign for an Ocean Township high school, spearheaded by the PTAs, was underway. On June 12, 1962, by a nearly 3-to-1 margin, the voters of Ocean approved a $2,969,000 bond to built their own school. Ocean High opened in 1965 without a senior class. Ocean seniors had returned to Asbury to graduate with their class. The next year, OTHS held its first graduation and published its first yearbook, The Sandpiper. * In the 1960s, Industrial Arts were just for boys, Home Economics, just for girls (who also have a "Homemaking Club"). * Title IX (prohibiting discrimination in federally funded programs) shaped the 1970s: for the first time girls had golf, tennis, and soccer teams; girls fixed cars, boys baked cakes. * The technology revolution is evident. Keypunch machines of the 1970s give way to desktops in the late 1980s and electronics redefine the classroom in the new millennium. In recent years, OTHS has made its share of "best high school" lists. Its own list of notable alums is impressive: Academy Award, Emmy, and Pulitzer Prize winners; distinguished educators, journalists, authors, and scientists; a fashion designer, a network news anchor, innovative entrepreneurs, and more. The Township of Ocean Historical Museum is open to the public on Tuesdays, Wednesdays and Thursdays (1:00 - 4:00 pm), Thursday evenings (7:00 - 9:00 pm) and the first and second Sundays of each month (1:00 - 4:00 pm). The Township of Ocean Historical Museum is located at 703 Deal Road, Ocean, NJ. For more information, please call 732-531-2136 or visit www.oceanmuseum.org.